Comments: c1950 Smiling Woman (Nee: ) | Pa USA | 1945-1960 | Comments: Recently new information was discovered about this photo of this unknown woman. 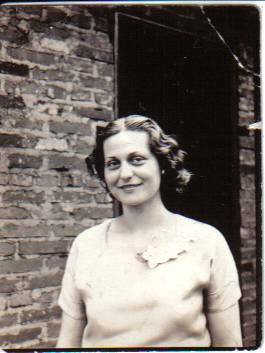 The photo was taken in the late 1940`s early 1950`s on the North Side of Pittsburgh, PA. My great grandmother,Johanna Malynak, owned a building she rented there. Would like to know if anyone knows who she is.